i had the chance to find out exactly why storelli’s exoshield headguard was good enough for superstar wayne rooney. By its nature, soccer isn’t a sport that lends itself to the development of new equipment. As the saying goes, all you need to play soccer is a ball and an open space. And while that’s not exactly true when playing at any organized level, it’s still not too far off. Outside of a pair of boots, shinguards, socks, shorts and a shirt — and potentially goalkeeper gloves — the game hasn’t really created a need for the innovation of new equipment. But thanks to both an increase in head injuries, not to mention an increase in the general awareness of sports head injuries thanks in large part to the NFL’s negligence, there’s been a growing niche need for protective headgear within the game. Predictably, a number of brands have jumped at the opportunity to feed the demand. It’s a tricky undertaking considering the general aversion to headgear within the game, as it might hinder the natural need to head the ball in the normal run of play. Or worse yet, wearing one might attract mocking from teammates and opponents. And for many of the solutions that have come to market, those concerns are legitimate. They’re often large, clunky and generally unsightly. Which is a bad thing: players won’t wear them even if they should. However, another option has emerged thanks in large part to Manchester United striker Wayne Rooney splitting his forehead open a few weeks ago. On hearing about the news of Rooney’s unfortunately placed injury, the co-founder of Storelli — who I interviewed back in April — sent a few of their sleek ExoShield HeadGuards to Manchester United with the hopes of getting Rooney back on the pitch. And as it turned out in the much publicized story, Rooney did make a return sporting Storelli’s head guard. Not only that, but he’s bagged seven goals in nine matches for club and country while wearing it. Whether it’s Wayne’s good luck charm or not remains to be seen, but I have been curious as to why Rooney and United’s medical staff opted to go with the Storelli’s offering instead of the numerous other options on the market. And thanks to my good friends at Storelli, my curiosity won’t go unsatisfied… as they sent me one to test out! do i look like wayne rooney yet? Given this opportunity, I didn’t want to fudge it and fake a review. So I donned the ExoShield HeadGuard for a pair of indoor matches last Thursday to put it through its paces. First and foremost, if you’re looking to purchase any sort of headgear, make sure to give your melon a proper measuring. This is particularly important with Storelli’s offering, as there is no way to adjust its fit. My head is extraordinarily large — to store all of this footie knowledge, of course — and I fell right on the boundary between the two largest sizes. I went with the larger one to be safe, and it proved a smart decision. It fit snugly on my head prior to playing, though not so tight as to restrict blood flow. It did loosen up a little as I started to sweat, though not enough to fall off my head. 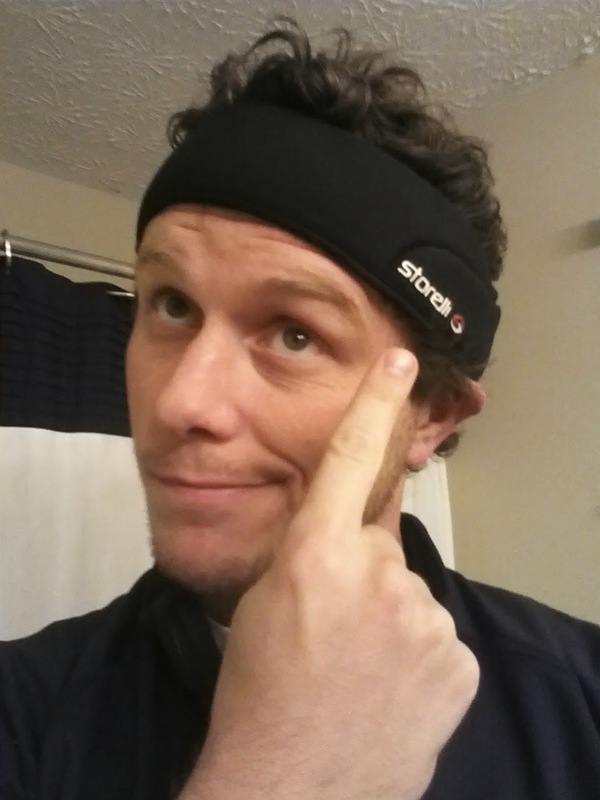 Once on, the HeadGuard is extremely light; it felt as if I was just wearing a fleece headband to keep warm. But it still felt far sturdier than I had expected. Though the cushioning is provided by foam, it’s not the extra squishy stuff you might find in your average memory foam pillow. Instead, it’s packed with military-grade viscoelastic foam, which absorbs and disperses impact force “by up to 182%, compared to other leading soft head guards on the market”. Thicker in the regions along the temple and across the back of the head, it provides the extra support in the areas you’re more likely to make contact with the ground, walls and/or opposing players. But unlike the earlier reference to it feeling a like a fleece headband, the breathable, moisture-wicking mesh liner prevented me from overheating as if I was. Granted, the thing did get extremely sweaty in the 90 minutes I played that night. And it took until the following morning for it to fully dry out. But even after getting drenched in my stink, it didn’t smell as if it had even been worn yet by the next morning. That’s likely due to Storelli’s use of anti-microbial materials, and neither WSOTP Pod co-host Jeremy or my wife’s hormonally enhanced sense of smell found issue with it either. As for actually playing with it on, I barely even noticed the HeadGuard was there. I attempted several headed balls in the course of the evening, and it didn’t seem to have any effect on accuracy or power. I did draw a few puzzling looks throughout the evening, though it was mostly concern from acquaintances that I had gotten hurt and a few asking if I was wearing it just because Rooney was. But other than that, I didn’t feel like a lost rugby player or anything like that. 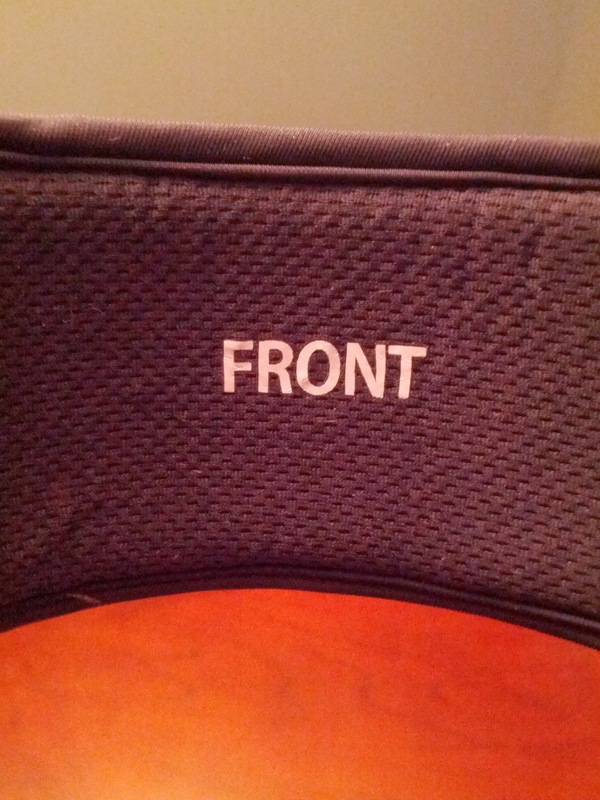 If I had to muster a single complaint, it was the ease with which it was to put it on upside down or backwards. Though that’s really nitpicking, as Storelli had the foresight to mark the inside and front to help those of us who are spatially challenged. And after taking it on and off a few times, it was easy enough to figure out. I also noticed I was a bit more eager to go in on aerial challenges than I normally would be, the HeadGuard perhaps giving me a little more license to play without concern for injury. All in all, I was really impressed with Storelli’s ExoShield HeadGuard. Light, sleek and packed full of innovative technology, I’d absolutely recommend it to anyone looking for a way to provide some extra protection to their fragile melons. Will it make you play more like fellow wearer Wayne Rooney? Well, I doubt Storelli would guarantee as much. But I did bag a trio of goals the night I wore mine — note: I’m a defender — so it’s at least possible some of Wayne’s ability came package within the box. what size you have selected 4 or 5 ? My big head required a size 5. It foot snugly when I first put it on, and loosened slightly as the game wore on. A very good review. However, soccer head gear has been maligned by some doctors/researchers as giving little real protection and instilling a false sense of security. I would like to see an independent scientific analysis of performance before wearing one on the pitch. Thanks for the props and for reading. I think your point is valid, and I would have loved to have been able to pull in some actual scientific research on the review. Unfortunately, I am just a man, writing a blog, for very little more than personal satisfaction. So the resources available to me are limited to my resourcefulness! How would you compare the storelli exoshield to the unequal Halo 2 10 mm? Which one do you think is better, more comfortable and safer to protect from concussions? Do you think these 2 are the best on the market currently?